Find here a list of wedding planning and event planning service across Greater London, England. Wedding Planning Service in London, United Kingdom. Offers a number of fabulous packages including – The Full Wedding Planning Package, Partial Planning & Wedding Package, Venue Finding Package, “Run Up & On The Day Coordination Package”, and Short-Notice Full Planning Package. Visit website for request a quote. My London Wedding Planner Ltd. Wedding Planning Service in London, United Kingdom. Luxury wedding planning and event company operating across Greater London, the Home Counties and the UK. Offers private events, weddings and private parties. Luxury wedding planning services in London and the surrounding counties. London Event Planner & Italy Wedding Planner. Offers virtually all kinds of events and party planning in London and Italy including children party planning, private party planning, corporate event planning and much more. Established in 2002, Stylish Events is one of London’s longest running, independent, luxury wedding planning and event management companies. Stylish Events is a member of the UK Alliance of Wedding Planners (UKAWP). Specialises in planning weddings in London and the Home Counties, Italy, the Caribbean and other fabulous overseas destinations. Award-winning London wedding planners (The Winner – Wedding Planner Of The Year (Independent), London And South East, 2017. awarded by The Wedding Industry Awards). London, England SE7, United Kingdom. 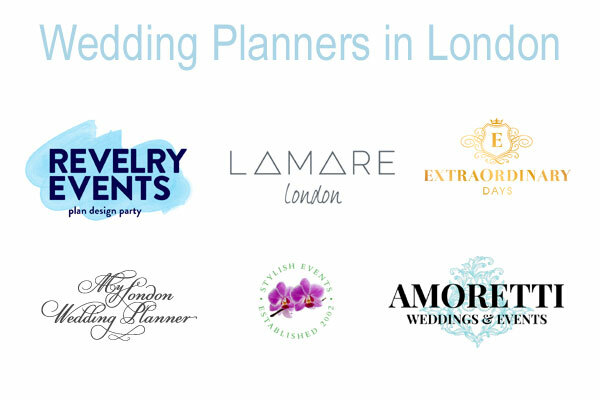 Luxury boutique wedding planners and event consultancy in London. Create original, bespoke and seamless weddings of all cultures and faiths that reflect your personality. 1 Alfred Place, 2nd Floor, London, WC1E 7EB. Highly skilled professional London wedding planner based in London. Specialises in luxury weddings in London and abroad creating outstanding, bespoke events from weddings to private parties and Bar Mitzvahs. Wedding planner in London, England. Offering Bespoke Luxury Wedding Planning, design & Styling across London, The UK & Europe. – Additional Events (Engagement Parties, Hen Dos, Following Day Events). Full Wedding Planning & Management visit website. Page updated : 28 November, 2018.